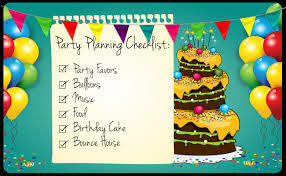 Much of a party’s success lies in the planning. Take time to talk with your child and confirm what they would or would not like to happen. They usually have very firm ideas on what they want for their special day.